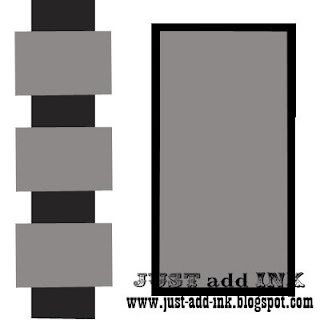 This week at Just Add Ink Mae's created a fantastic sketch to play with!!! I love the 3 panels on the sketch and I've interpreted those with flowers. I wish it would fine up here in Brissy becuase I'm over this drizzly weather we've been having all week! You've used such a beautiful colour combination, Trish. 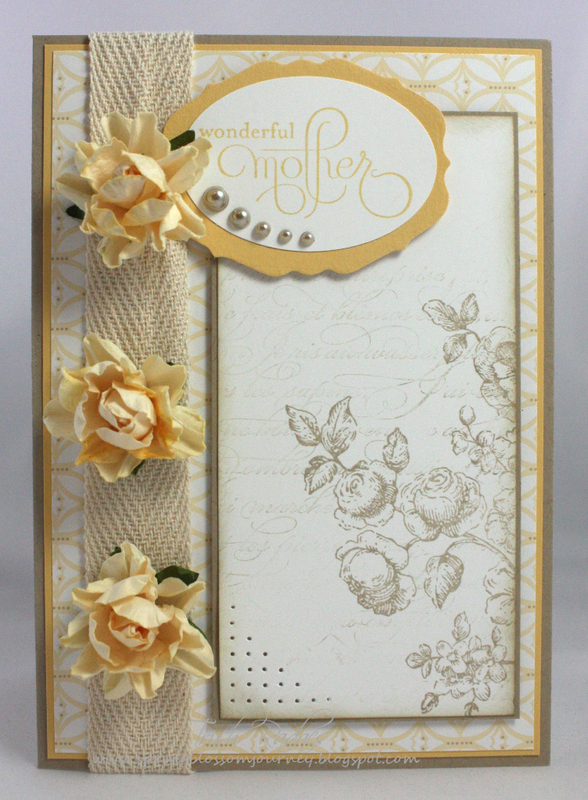 The stamping on the main panel, combined with those sweet flowers and the placement of the sentiment, make for a gorgeous, elegant card. Love it! This is so beautiful, Trish! 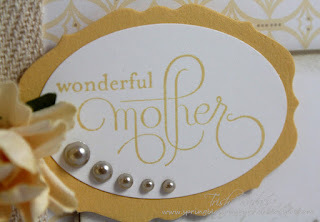 I love the subtle colour scheme and the soft stamping of the EnFrancais in the background. I love your colour combo on this card Trish, it looks so pretty. The flowers look beautiful stamped over en francais and I particularly love the way you've placed the pearls on the sentiment panel. Trish I love your card and how you have used the sketch. In particular I really like your flowers and the fact you have reminded me to paper-pierce corners for effect. Trish - I love this card! Your combination of colours and stamp sets is really soft and pretty. I just love those flowers - they match perfectly! This is gorgeous Trish. Beautiful soft colour combo and those flowers on the side are just lovely. Love this colour combo, and all your little details. Such a very pretty card! This is just so pretty and delicate Trish. 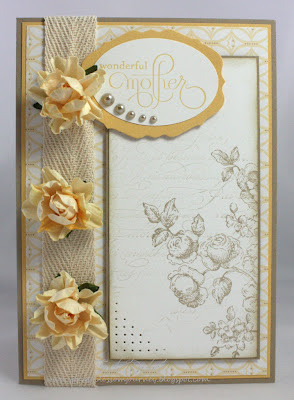 I love how you teamed up the 3D flowers with the stamped Elements flowers.